While visiting the Bike Factory in Waipio, we found out that the Annual Jump Jam was coming up on August 27th. 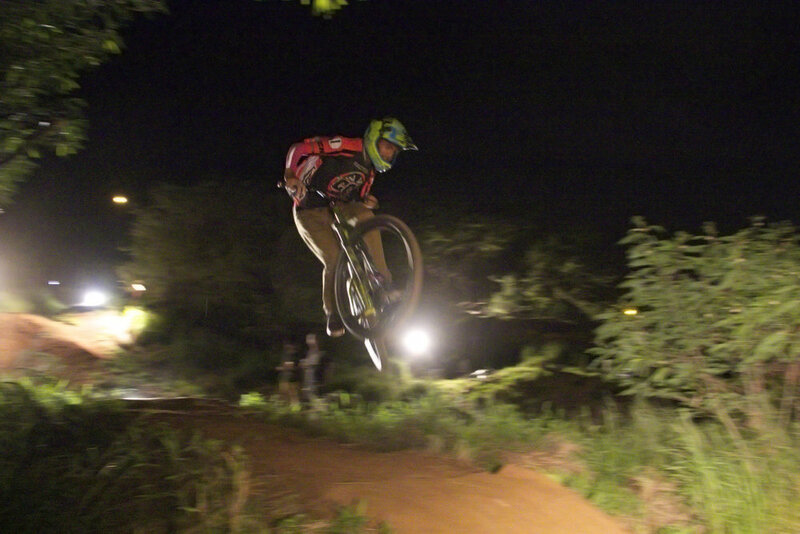 The Jump Jam happens late August and is hosted at the Dirt Jumps at the base of the Koko Head Stairs. Tyler describes it as almost “dream-like” as the sun sets and the jumps are highlighted by generated light. They began the competition after sunset this year, which meant adjusting to minimal light around the track. It was an awesome experience even as just a spectator! The words Family and Camaraderie immediately come to mind as we walk up to the crowd of mountain bikers, bmx’ers, downhill/enduro bikers, and their families who are lined up next to the jumps ready to catch some footage of the event. The competitors ranged from young keiki to adults and the competition categories were “Best Whip” and “Best Trick”. Between jumps, the riders begin to realize that they've seen some of these guys or recognize their bikes from some of the other trails around the island. After the competition was over, the track was open for everyone to ride; that’s when they started to really have some fun! The adorable keiki started a bike train around the track for some fun laps and shortly after, the bmx’ers and mountain bikers followed in line. After the competition was over, I was tired of snapping photos on the side lines so I thought I'd take a lap around the track. Personally, I think I should have won an award for gnarliest fall...maybe next year!